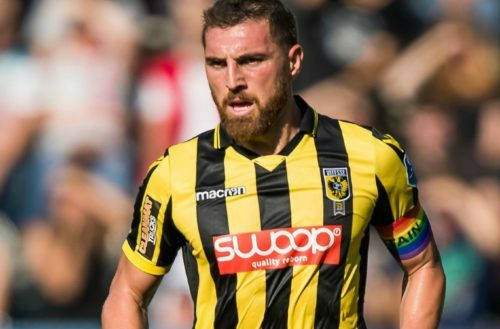 In the country of Georgia, eight members of an extremist far-right mob were arrested after protesting a soccer player who wore a rainbow armband to show support for LGBT people on National Coming Out Day last month. 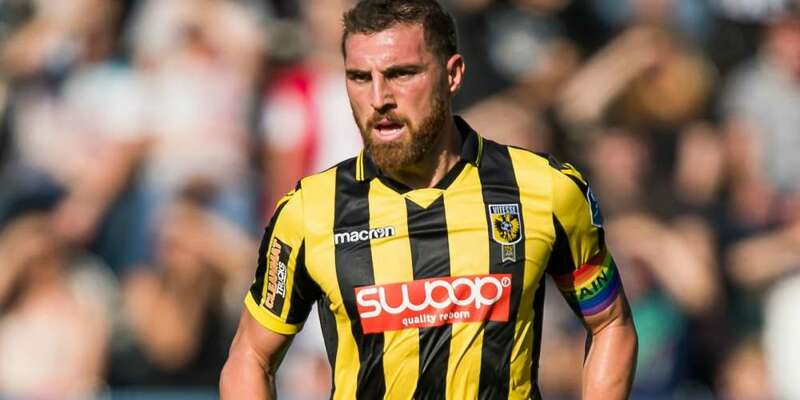 The player, Guram Kashia, is a defender who captains the Dutch football club Vitesse Arnhem. According to the Associated Press, dozens of protestors demonstrated on Tuesday outside of the Georgian Football Federation (GFF) headquarters. They shouted anti-gay slurs while igniting smoke bombs and flares. During the demonstration, they also torched a rainbow flag. While eight people were arrested by authorities for resisting police and minor hooliganism and are set to appear in court today, it’s unclear whether or not those arrested were affiliated with Georgian March, “an anti-immigrant and anti-gay rights group which claims to be protecting the “purity” of society.” Georgian March has called for the entire GFF to resign over their support for Kashia. Many people have taken to social media and changed their profile photos to show their solidarity with Kashia. Georgia is one of only few countries in the former Soviet Union that prohibits discrimination against LGBT people and includes sexual orientation in its hate-crime criteria. But the influence of the Orthodox Church has made acceptance a slow slog: The country ranked as the third-most homophobic in the World Value Survey, with 93% of citizens opposed to having a gay neighbor.